Microsoft’s new Project Spartan browser (pictured above) isn’t available just yet, but Windows Insiders can already reap some of the benefits through Internet Explorer. 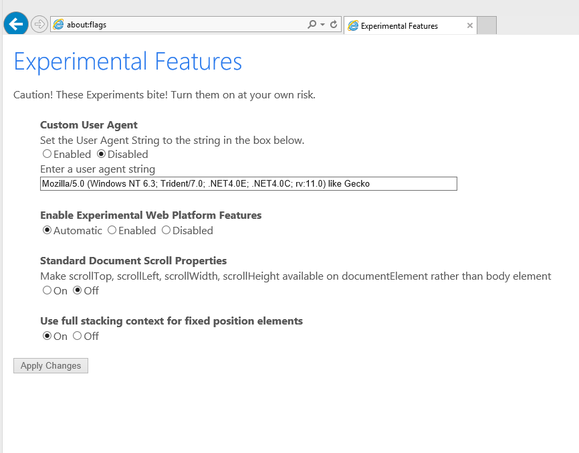 In the latest Windows 10 Technical Preview build, users can toggle a hidden flag in Internet Explorer to enable Spartan’s new Edge rendering engine. Though it’s still experimental—and is mainly aimed at developers—it should bring significant performance improvements over IE11’s existing engine. To enable the new engine, just type “about:flags” in IE11’s address bar, select “Enabled” under “Enable Experimental Web Platform Features,” and restart the browser. Enabling the "Custom User Agent" option will trick sites that nerf IE specifically into using the Spartan Edge rendering engine. The screen you're looking for in Windows 10. Benchmarks by AnandTech show better scores for Edge in all major benchmarks compared to the old IE engine. Edge also outperforms Google Chrome and Mozilla Firefox in a couple of tests (Sunspider and Octane), though it still lags behind in others (Kraken, WebXPRT, Oort Online, HTML5Test). In addition to the performance improvements, Project Spartan will bring new features such as webpage annotation, Cortana integration, a built-in offline reading mode, and the ability to save page clippings to OneNote. It also has a slick new look, with a tabs-on-top layout similar to other browsers. 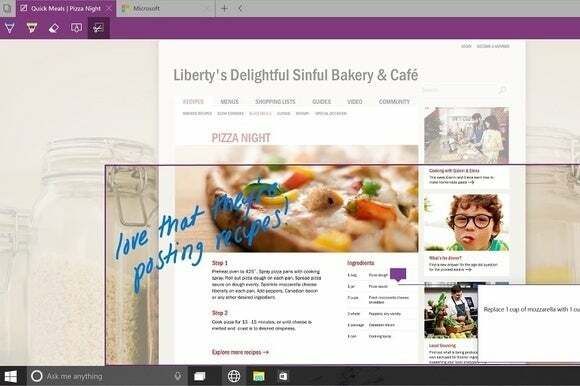 The new browser should show up in a future Windows 10 preview build, but the timing is unclear. Why this matters: Speed improvements alone won’t revitalize Microsoft’s browser efforts, but the other improvements won’t matter as much if Spartan feels sluggish next to the competition. The new engine helps pave the way for a more modern browser from Microsoft, and is worth checking out if you’ve already gone through the trouble to set up the Windows 10 preview.